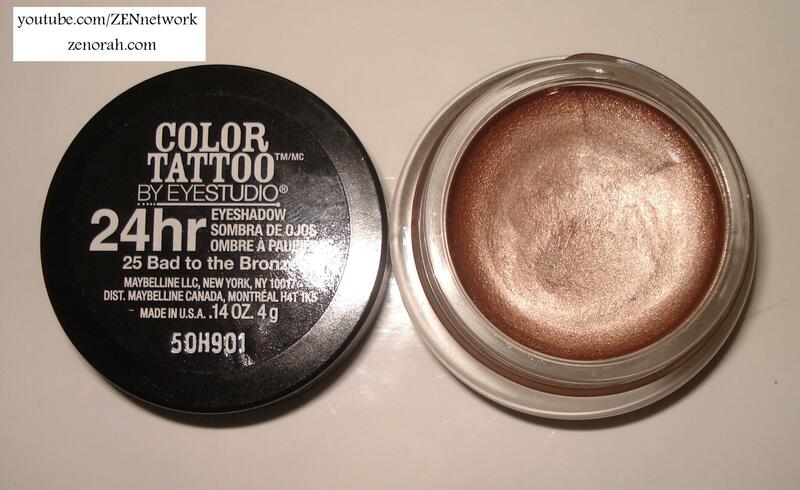 Maybelline 24 Hour Colour Tattoo in Bad to the Bronze is a gorgeous bronze eyeshadow/eye primer base. 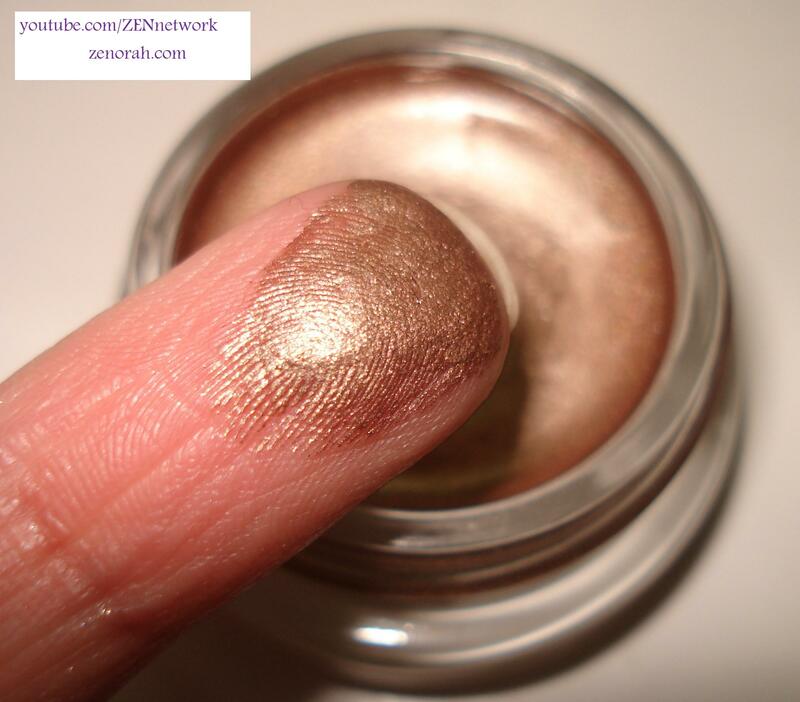 It is VERY similar to MAC Paint Pots and in every respect it has the same function as well – this colour in particular is infused with golden shimmer in a rich bronze basae and it applies like a dream! I use my fingers to apply the product all over the eyelid and at times leave it on its own with some mascara and voila! you have a beautiful simple but summery eye makeup. I am not sure about the 24 hour wear test because I myself never wear makeup more than a few hours so I would not be able to tell you if it does last a full day as it claims. What I can tell you is that I always use a primer underneath which is just my habit regardless of a crease-less eyeshadow base and it does last a full 8 hour work day. 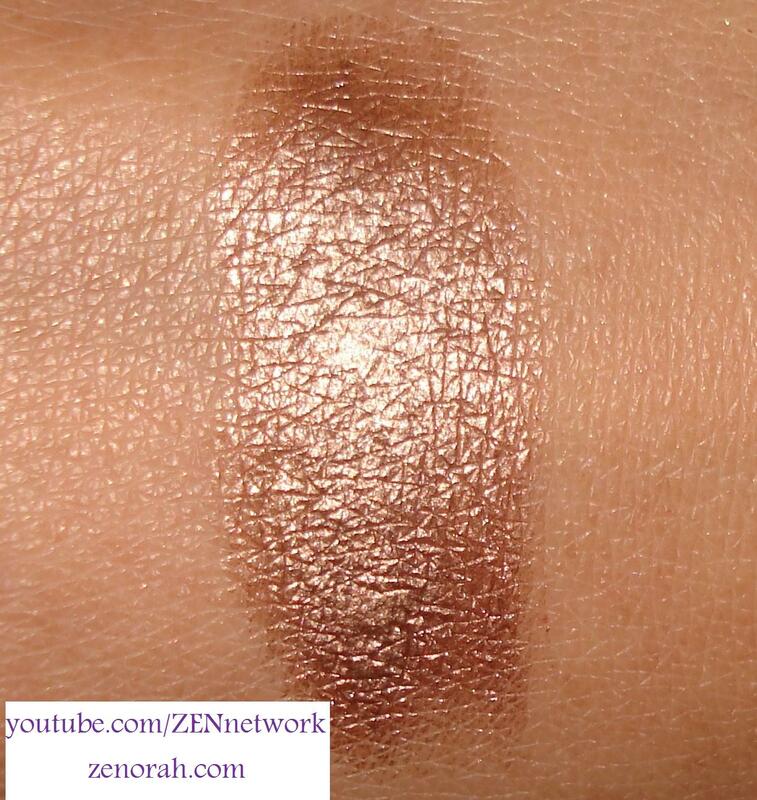 I simply ADORE this product and it is one that I will repurchase in a heart beat – the best part is that it is DRUGSTORE ( I found mine at Walmart) and believe me I have swatched a million eye shadow bases at Sephora and THIS ONE is by far my favourite! I believe this should be a staple product in every makeup junkie’s collection because for the price and the colour pay off – what’s not to love? This particular shade is flattering on all skin tones and for all ages as well! I recently used this on my mom who is in her 50’s and is lighter in complexion to me and it looks stunning on her!!! For me, this is a staple in my everyday makeup routine in the summer time thus far and what I LOVE about this particular product and shade is that you can wear it year round and it would look so beautiful as a base for bronze smokey eyes as well! The possibilities are endless with this product and I will most definitely be repurchasing this when I run out which won’t be very soon as you need the smallest amount for each application. If you are curious in testing the 24-hour colour tattoo line then this would be the best one to start with! Do you own Maybelline 24 Hour Colour Tattoos? What are your thoughts on these products? I have all of the color tattoos except for the purple one and the orange one. Clearly, I LOVE them! I just wore this one today…bronze and the taupe one are my favorites out of the bunch. I LOVE tough as taupe! it’s my other favourite as well, I wish they had more skin tone colours but overall such an amazing product! I totally agree. I don’t wear the brightly colored ones nearly as often.